When I was nine years old, my favorite color was green. The walls of my bedroom were painted light green like a lime Necco wafer. I had requested green carpet. Bright green like a golf course. But I ended up with a shag rug peppered with different shades of green. I had two posters. One was a blacklight poster featuring a psychedelic version of Mickey Mouse. What can I say? It was 1976. On the back of my bedroom door was a Laverne and Shirley poster. The picture was from the opening of the iconic television show. Shirley was pedaling away on an old bike, and Laverne was sitting on the seat, her arms spread wide as if she might perhaps take flight. Laverne and Shirley was my favorite television show back then. I saw pieces of myself in Laverne DeFazio. She was a tomboy like me. Never underestimate the power of seeing pieces of yourself in a TV show, a movie, a book. Laverne could hang with guys. If you were picking teams for a baseball game, she would be your first or second pick for sure. Same for bowling. Laverne was funny and loyal, especially when it came to Shirley, her best friend and roommate. She had a hard edge to her but a softness inside. She was boy crazy in a loud, demonstrative way in much the same way that I was because I thought that’s how girls were supposed to be. Voh-dee-oh-doh-doh and all of that. I often lament the fact that there was no Ellen on TV when I was growing up. But there was a Laverne who gave hope to girls like me. A milk and Pepsi chugging tomboy who wasn’t afraid to be herself. Rest in peace, Penny Marshall. You made the world a better place for girls like me. My brother and I used to fight all the time when we were kids. It was usually over something stupid like what we were going to watch on our one TV. I was a big fan of The Brady Bunch and General Hospital (this was way back in the Luke and Laura days). Or who’s turn it was to play on whatever video gaming system we had at the time. Colecovision, anyone? Things usually turned violent. Punches were thrown. Someone was tossed into a wall. And then it would happen. They looked something like this. The peace pipes mounted on a little wooden frame over the basement door would fall and break. They weren’t real peace pipes. At the time, our house was decorated in a style known as colonial. The peace pipes were long and white and made out of some kind of fragile ceramic material. They were arranged in an X with the heads of the pipes at opposite ends of the wooden frame. The crash always ended the fight. My brother would run to get the Scotch tape and superglue. I’d start putting the broken pieces back together. We worked as a team as we raced to get the pipes glued back together and back up on the wall before my mother came home. This show spoke the truth. Ironically, it was like that Brady Bunch episode where the boys break Carol’s vase with a basketball. Mom always said don’t play ball in the house. By the time we were too old to be fighting like that, the peace pipes were in sharp white shards that were held together by tape, luck and sheer will. Another crash or two, and they would be too broken to put back together. Luckily, we had stopped fighting by then. These days, I’m those peace pipes. I’ve fallen too many times to count. I’m in a hundred pieces. And I worry that the day will come when I’ll be unable to piece myself back together. I was this guy. Cool, I know. My favorite Halloween costume was a sea monster. Actually, I was Sigmund from the TV show Sigmund and the Sea Monsters. It was a costume that came in a box, probably from Kmart or some other discount store. My mom taped crepe paper streamers in different shades of green to the body of the costume to give it an authentic sea monster feel. I was in second or third grade and really into the show. I even had a Sigmund and the Sea Monsters lunch pail. I know. I was so cool. I don’t remember many other Halloween costumes. I think my first costume was a lamb. Not too far from the black sheep I turned out to be. I was a witch one year with a black wig with streaks of white and long black plastic fingernails. Just when you thought I couldn’t get any cooler. And yes, that is a mullet. In college, I was usually some weird androgynous superhero. I always started with a cape because who doesn’t want to rock a cape. And added face paint. Colored hairspray. Suspenders. I was like the love child of Superman and Elton John and the members of Kiss. With some Phantom of the Opera thrown in for good luck. One year, I bought a blue and gray fedora in a thrift shop in town and designed some weird old man costume around it. The costume was a dud, but I liked wearing the hat. These days, I’m not so big on dressing up. When you feel like you’ve been wearing a costume for the better part of three decades, Halloween dress-up loses its luster. If I had to dress up, I’d probably toss on a Phillies jersey and cap and call it a day. Maybe add some eyeblack if I was really trying. Most mornings, I smile when I get dressed. I slip on a pair of jeans or cargo shorts, a pair of boxer briefs, a T-shirt with or without another shirt underneath depending on the weather. I don’t worry about “appropriate” or the difference between boy clothes and girl clothes. Instead, I focus on wearing clothes that make me feel good. Happy. Clothes that make me feel like me. And I say a quick thanks to the person who runs the joint. Thanks for getting me here to this place where I can finally wear the clothes I want all day, every day. It was worth the wait. Your turn. Favorite Halloween costume? Favorite candy? We have nothing to watch. Nothing, I tell you, nothing, even though we have cable television with a bunch of premium channels, Netflix, Hulu, Amazon Prime and three Redboxes located less than two miles from our house. There haven’t been any new episodes of Modern Family. We’re all caught up with Orange Is the New Black, Girls, Transparent, Jessica Jones, Master of None, Unbreakable Kimmie Schmidt, Broad City, The Walking Dead. I think there’s a new season of Orphan Black out, but last I checked it wasn’t available for streaming through Amazon. Washed up celebrity horse with depression and addiction issues. What’s not to love? I binged watched three seasons of Bojack Horseman one weekend without W because I thought she detested shows with talking animals. That’s what she had said, anyway. Turns out she meant live action shows and not cartoons. “Like Look Who’s Talking,” she tried to explain. She made her angry face. We have been trying to pick a new show. “What about The Sopranos,” W asks. She forces a stream of hot air through her mouth like a tea kettle. This is the sound of exasperation. She’s already named a bunch of shows: House of Cards, Homeland, Breaking Bad, Dexter. She ends up watching them herself because they don’t interest me. I am difficult. Impossible. I am glad I’m not married to myself. See, everyone loves a skinny tie. I suggest Mad Men because, well, skinny ties. “It’s based on the Stephen King book The Colorado Kid,” he says. “Yeah, the people in the town have supernatural powers,” he says. “You liked Stranger Things!” W says way too loud. What did you watch this summer? If my calculations are correct, W and I have been sleeping in the same bed for about seven years. Not continuously like we are in the movie Willie Wonka and the Chocolate Factory. Although that idea always seemed appealing when I was younger and depressed. On Friday, the kid will have been in the hospital for three weeks, save the three days he spent at home. W has stayed with him every night, which means our bed is empty when I turn in. I pile clean laundry and things to take to the hospital on W’s side of the bed to keep it from seeming so empty. I look at our pillowcases that say “Big Spoon” and “Little Spoon” and wonder when the Big Spoon will be coming home. Yes, folks, I’m butch enough to admit that I’m usually the little spoon. One of our cats is so distraught over W’s absence that he cries and deposits random items in a pile in the middle of the bed — socks, a cloth to polish shoes, cat toys. I’m not sure where he’s finding these items. I’m pretty sure some of them aren’t even ours. At night, I stay up way too late and watch mindless TV shows — Shark Tank, Teen Mom 2, Bar Rescue, Catfish — until I am so tired I pass out. For some strange reason, I find RuPaul’s Drag Race especially soothing and often find myself falling asleep to “I’m Every Woman” or some other disco tune and instructions to “sashay away.” Because drag queens always make me feel better. The are like a Band-Aid — a sequined Band-Aid with rhinestones and wigs and high heels. This new habit has made for some very weird dreams. When I was a kid and my grandmother visited, she always slept in my double bed with me. This was weird and annoying for a variety of reasons but mostly because my grandmother slept with a transistor radio that she kept on until she fell asleep. It was an old radio, one of my grandfather’s, and seemed unable to broadcast anything but static. My grandmother loved music but always listened to the news on her handheld radio. I used to think she was an old lady way too interested in what was happening in the world. But when I got older, I realized she missed my grandfather, who had passed away years before, and it was impossible for her to fall asleep without some kind of distraction. I wonder what it was about the sound of the radio that soothed her. If the buzz reminded her of his rhythmic breathing or snoring or if she just needed noise, any noise, to fill the void he had left behind. So with that, I’m going to sashay to bed. Just me and the cats and a gaggle of drag queens. That’s what you call a group of drag queens, right? What about you? How do you sleep when your significant other is away? Today is Xena’s 20th anniversary. A big ayiyiyiyiyi Xena battle cry to all of my Flannel Files followers on this very special occasion. I’ve been reading the Xena posts and tweets on social media, and I must say it’s taken me back in time. Not to ancient mythological Greece when Xena roamed the countryside thwarting evildoers with the help of Gabrielle, her trusty sidekick. But the late 1990s when I was struggling with my sexuality. The first time I watched Xena: Warrior Princess, I was hooked. There was something about the show, something I couldn’t explain that left me wanting more Xena all the time. Let’s be honest. The Warrior Princess came with an extra helping of cheese. The bright orange kind that comes in a can and is spread with a knife. When I finally admitted that I was attracted to women, I told myself that was it. I mean, Lucy Lawless is gorgeous. Why not watch a television show that features a beautiful woman, even if it’s campier than a weenie roast and ghost stories told around a fire? Here’s the thing that took me a long time to realize. 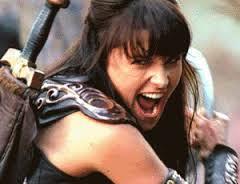 I never wanted to be with Lucy Lawless. I wanted to be Lucy Lawless. Or, more accurately, Xena. It was her special blend of girl power that I craved. 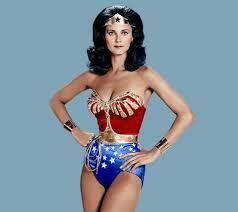 In the 1970’s, it was Charlie’s Angels and Wonder Woman and Jaime Sommers, TV’s Bionic Woman. But those women had nothing on Xena. With her sword and her chakram, her leather, her armor and a hot blonde by her side. Xena was badass. I think about the name of the show — Xena: Warrior Princess. And I think that was always the attraction for me. It’s that blend of masculine and feminine that I find so appealing, that magical combination that I live. There’s always been a lot of Xena: Warrior Princess inside me. I just never realized it until I started watching the show. If you’re really into Xena, you can read my Xena sword story here. What about you? Xena fan? Yea or nay? I was watching TV today while folding the laundry. That’s when I saw a promo for a new show. I didn’t even have to watch the clip to know what it was all about. The show would be hosted by a famous butch. 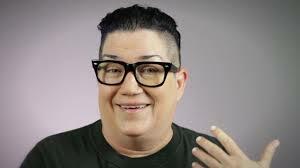 Someone like Lea DeLaria. Every week, a random person would be “butched,” or given a butch makeover. This would involve cargo shorts, a T-shirt or polo shirt, new sneakers, maybe a baseball cap or even a tattoo. Because everyone knows butches have more fun. And then I realized the show was actually called Botched. And it was about fixing plastic surgery mishaps. But if there was a show called Butched, what would it be about? W and I are just emerging from a fugue-like state brought on by binge watching six seasons of The L Word. That’s 78 episodes if you’re counting along at home. W had been scanning through the offerings on Netflix and stumbled upon the series. And there we were watching Jenny Schecter being accosted by Marina Ferrer in a bathroom somewhere in California. There was no stopping us once we got started. We couldn’t get enough Bette, Tina, Alice and of course, Shane. Swoon. * Wow, what a groundbreaking show. 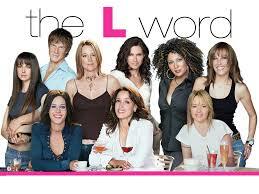 The L Word certainly was ahead of its time. It paved the way for Girls and Orange Is the New Black. * Are there no butch women in L.A.? 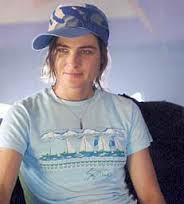 I used to think Shane was kinda butch. She’s not. Like Papi says upon meeting the legendary Shane: “You’re just a skinny white girl.” So true. * I always wanted to be Shane. 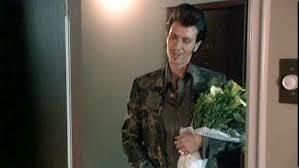 Or maybe Shane’s wingwoman. You know, me and Shane hanging out, picking up the ladies. This time around, I realized Shane is kinda a jerk. * And what’s up with Shane’s hairstyling skills? It’s tousling of hair. That’s what it is. Tousling. Of hair. * Ivan Aycock. I want to be Ivan Aycock. * Can you spell infidelity? So much cheating. Keep it in your pants, ladies. * Jenny Schecter is actually interesting and likable in the first few seasons. Whether you like her or hate her, there is no The L Word without her. * Really, couldn’t you have been a little more sensitive toward the transitioning Max? Max, I’ll be your friend. We’ll go to a sports bar, drink some beer and eat some wings. Forget those high femmes. Call me. And really Part 2: Did you have to make Max pregnant? Really? * What a total waste of Xena: Warrior Princess. Um, you couldn’t find a better role for Lucy Lawless than some hack detective? Other ideas: L.L. has an affair with Bette. Or Xena herself chops off Jenny’s head with her sword, places it on a stake in front of The Planet and runs off with Alice. No one saw that coming. Discuss. Ok, y’all remember The L Word. Why don’t we play Marry, Kill, Screw. I’ll go first ’cause it’s my blog. I never wanted a wife. I never wanted to be a wife. 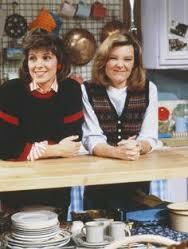 Kate and Allie: I would have been the hilarious one on the right. I figured a way around all of that tradition sometime in the ’80s. I suggested to my college roommate that after graduation we get a place and live, you know, like Kate and Allie. It would be a 24/7 slumber party eating raw cookie dough right from the tube and staying up late to watch reruns of The Facts of Life. (I watched way too much TV back then). I would be Allie, played by comedy legend and pioneer Jane Curtain, because of my rapier wit and she could be Kate, played by Susan Saint James, because she had darker hair. I offered for her to be Allie, but she still wasn’t buying into my vision of two women living under the same roof and raising kids. Yes, she was narrow minded. And I was deep in the closet, back with the unused ski equipment and broken umbrella. Flash forward almost 30 years, and I am a wife. I have a wife, too. Who even knew such things were possible? I do not look like a wife. 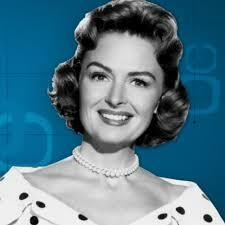 Did anyone else have a crush on Donna Reed? Wilma Flintstone was a wife. Donna Reed, wife. June Cleaver. Laura Petrie. Carol Brady. Jane Jetson. Before W and I said I do, we had a conversation about her referring to me as her wife. “I wouldn’t say anything in front of anyone, but I would cringe inside every time you said the word ‘wife,'” I said. 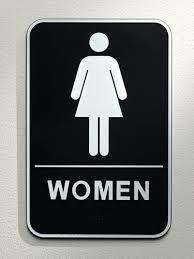 It is the association with traditional female roles and stereotypes that bothers me. It is fingernails on chalkboard. It is the same way I felt when I was 10-years-old and forced to pick out back-to-school clothes from the girls’ section of the department store. W comes home these days and greets me as she’s walking through the door. We are still dumbstruck by the fact that we are married. Legally married. Like non-gay people. It is all new. We are still adjusting. When W asks what she should call me, I tell her I don’t know. I don’t know yet. Sometimes I feel I’m still in transition, in flux. That it’ll all shake out one day. That I’ll know the answer then. I feel bad for W, because I make everything so difficult. If I’m not a wife, what am I? I’m not a husband. A spouse? Partner? That’s how we referred to each other in the old days, before we had a piece of paper that says we’re married. I think about what it means to be a butch. Sure, it is about flannel shirts and comfortable shoes and football on Sunday and Monday and every other day of the week and beer and treating your lady like a queen. But it is also about having the courage to be different, to be who you are. To answer to “sir” when you are anything but. 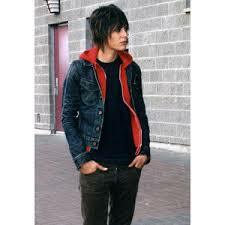 To be mistaken for a young man when you are nearing menopause. It is about wearing a necktie when every other woman in the room is wearing a dress. And venturing into the women’s bathroom — that room with a door marked with the silhouette of a person wearing a dress — when you don’t know what kind of reception awaits. So, yeah. Butch wife. Maybe I can handle that. On my terms. In my way. Listening to sports radio when I bake cookies for the kids. Or wearing a tie when I take my wife out to dinner on date night. Anyone got a problem with that? What do you call your significant other?